Politics imposes choice of being left Ethiopia behind in a digitally competitive world. A former colleague from my previous life, who still runs strong, recently called me to share nail-biting occurrence that he learned about in his office. It was regarding an invitation extended to a renowned Ethiopian expert in Addis Abeba to participate in an international forum on video/Skype, in tandem with other experts from other regions of the world. The organization was inviting the Ethiopian because of his expertise so that he could share his insight in the light of Ethiopia’s experiences in poverty reduction and growth and development; it boils down whether, after all, poverty is defeated or still remains daunting and, if so, the problem has its origin in vision, policies, institutions or politics. c. Even if these problems do not exist, he hinted that he is not free to articulate what he knows, believes in and understands best. This telephone conversation took place a few days ago before I began browsing the just released The State of Broadband 2014 of the International Telecommunications Union (ITU). When I found the publication, I decided to read it with the eyes and mind of that Ethiopian expert to understand what the real problem is. I also wanted to capture his sense of frustration and share it with the world in an article, which this piece is a humble effort in that direction. Let me first note that I have found The State of Broadband 2014 informative; it is generous in giving a very clear sense of the global digital advancement and extent of internet connectivity in the very lucky societies. What struck me is also the fast growth of services and businesses around technological advancements, for instance, health services, which a study ITU quotes shows the possibility of saving one million lives by 2017 in disease-infested Africa, while generating $400 billion savings in the developed countries. The ITU successfully uses good examples to demonstrates that high-speed affordable broadband connectivity to the internet is the unmistakable foundation stone of modern society. It offers widely recognized economic and social benefits in business, education and social life would immensely contribute to the knowledge society. In that regard, the ITU calls on governments to integrate ICT skills into education to ensure that the next generation is able to compete in the digital economy. Countries with the right vision and the appropriate policies are all the time capturing the gains of ICT development by making it available and accessible for their populations, as a means to stimulate the flow of information and enrich democracy or their systems of governance. For the vast majority, however, the opposite is true; some nations strive to serve the interests of those in power, instead of the national interests and commitment to public service as part of the everyday readiness and leadership by accountable governance in this competitive world. Who is where on the broadband & internet connectivity map? At it stands now, the Republic of Korea continues to have the world’s highest household broadband penetration at over 98 percent; this represents a leap of one more percent since last year. Monaco has also become a new champion, now surpassing Switzerland – last year’s world leader in fixed broadband penetration – at over 44 percent of its population, according to ITU press release. Consequently, there are now four nations – Monaco, Switzerland, Denmark and Netherlands – where broadband penetration exceeds 40 percent. The change is that the lone champion of 2013 – Switzerland – has now been joined by three other competitors. One may wonder where the United States is. Globally, it ranks 19th in terms of number of people online, ahead of other OECD countries like Germany (20th) and Australia (21st). What this means is that the US is behind the United Kingdom with its 12th ranking, Japan 15th and Canada 16th. The US is said to have slid from 20th to 24th place for fixed broadband subscriptions per capita, just behind Japan but ahead of Macao (China) and Estonia. ITU reports that there are now 77 countries where over 50 percent of the population is online; this is up from 70 in 2013. The top ten countries for internet use are all located in Europe, with Iceland ranked first in the world with 96.5 percent of its people online. Still one may wonder where our Ethiopia is. As in most thins that matter, Ethiopia moves in tandem with others at the lowest end of the spectrum. The lowest levels of internet access are mostly found in Sub-Saharan Africa, with internet available to less than 2 percent of the region’s population. This can be seen, for instance, from Ethiopia’s 1.9 percent rate, followed by Niger (1.7 percent), Sierra Leone (1.7 percent), Guinea (1.6 percent), Somalia (1.5 percent), Burundi (1.3 percent) and Eritrea (0.9 percent). As indicated above, basic internet user penetration in Ethiopia in 2013 was/is as low as 1.9 percent. At the household level, this rises to 2.3 percent, whereas the average internet user for developing countries stands at 29.9 percent. For an economy ranked 108th in the world, Ethiopia’s mobile broadband connectivity in 2013 is 4.8 percent. Broadband connectivity (3G and 4G(? )), the ITU says, continues to show the highest growth rate of any ICT around the world, growing 20 percent in 2014 alone. In fact, it is surprising that Ethiopia being the political and diplomatic capital of Africa, with several organizations headquartered there as are over 100 embassies, Ethiopia’s telecom and ICT remain backward because of the politics of the regime rather than the country’s poverty. Of course, many are compelled to rely on VSAT (Very Small Aperture Terminals), or internet satellite, for faster communication with the outside world, including in the United Nations Economic Commission for Africa (ECA), which made Ethiopia it’s home in 1958. Turning to another aspect of this issue, while Africa has most of the diseases, it has not shown any meaningful growth in its broadband (0.5 percent only) connectivity. Because of that, according to ITU, especially Sub-Saharan Africa could not become beneficiary of the delivery of healthcare services that are now available to the rural areas in the underdeveloped world. Where it has happened, it says, it has led to improved response times in emergency situations, reduced isolation, and better training and equipment for healthcare workers. Never mind that the TPLF regime in the country is full of praises for Ethio Telecom, about which one of its officials years ago dubbed it “our cash cow”. Since the idea of service to the people does not figure prominently in the Ethiopian regime, in July 2014 Prime Minister Hailemariam also (see video here) reiterated the same to NBC. His justification was the national telecom company providing the state more than ETB six billion [$300 million] every year, which he said is now paying for the development of the railway sector. Be that as it may, the extent of this ITU Ethiopia’s diminutive internet penetration is mark of an earnest rejection of that logic. That is why the ITU data on Ethiopia makes more sense, especially compared with the performance of other Least Developed Countries (LDCs), such as Senegal’s penetration rate of 20.9 percent, Uganda 16.2, Zambia 15.4, Gambia 14.0, Mozambique’s 5.4, Malawi’s 5.4, Lesotho’s 5.0, Tanzania’s 4.4, and etc. In other words, at the lower end of the spectrum and in 2013 Ethiopia is ahead only of Somalia by 0.04 percent and Sierra Leone by 0.02 percent, Niger by 0.02 percent, Burundi 0.06 percent and Eritrea by 1.0 percent. 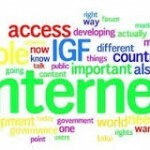 Why is Ethiopia laggard in ICT development? 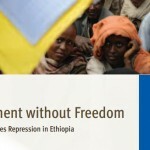 In reminding the world that the Ethiopian regime’s efforts at blocking the free flow of information is not limited to imprisonment of journalists year after year; but also on the basis of evidences, Freedom House claims that the TPLF regime has been for a long time engaged in “deep packet inspection to enable [it a] more sophisticated, selective filtering of internet traffic”. The inescapable conclusion is that this retrograde interference in turn has stifled the development of internet and digital communication in our country. Only this month, at the United Nations Human Rights Council’s 27th session during the review of the human rights behavior of the Ethiopian regime and adoption of the outcome to Universal Periodic Review (UPR), member states several times discussed the removal of impediments restricting the free flow of information. Resulting from it is the handing over to the TPLF regime of 252 recommendations to be implemented to improve the human rights situation in the country. In the recommendation, there are 15 references to “freedom of expression.” Moreover, there are several calls on Ethiopia to repeal the anti-terrorism and anti-civil society laws, accusing them of stifling dissent and the activities of independent journalists. What has been noticed in TPLF’s Ethiopia, which is enwrapped in slick and deceitful propaganda, is that it suffers severe lack of accountability as a state. That many felt could be the reason why it loves to exercise authority without any regard to the rights of the broader society, its needs for decent public service, such as reasonable access to food, water, electricity and telecom services, etc. In early August 2014, at a press conference, Ethio Telecom announced that it has completed its 4G Long Term Evolution (LTE) network in Addis Abeba to service 400,000 customers. In September 2014, there is not the slightest change in the usual status of unavailability of services. Of course, all along the regime has been making ‘services unavailable’ since it has been deploying it to spy on the Ethiopian opposition parties. None has to this day better exposed the crimes in this regard than senior ruling party cadre Ermias Legesse, who served as state minister. 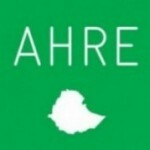 After abandoning the regime, he recently published the የመለስ “ትሩፋቶች”: ባለቤት አልባ ከተማ , which unveiled so many of the regime’s ploys and gimmicks. In his days, he recalled he and his colleagues received information from the national intelligence, which on all occasions eavesdrops on citizens and especially opposition party members to help the ruling party design strategy to counter their politics as its opponents, as if the taxpayers were and obliged to pay for its political competition. The BBC also recently released information how the Ethiopian regime uses foreign kit to spy on opponents of the regime, each time with more modern equipment, as if opposition parties were foreign enemies of the nation and dissenting opinion a crime. How could the civilized world tolerate this and give its financial and political support to the repression of Ethiopians, which they cannot support in their own countries and against their peoples? We now see in Ethiopia that our nation has not been blessed for this. That is why the status quo needs to change! 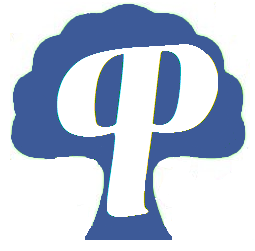 Posted by cybereth on Sep 24 2014. Filed under News, Views and Opinions. You can follow any responses to this entry through the RSS 2.0. Both comments and pings are currently closed.